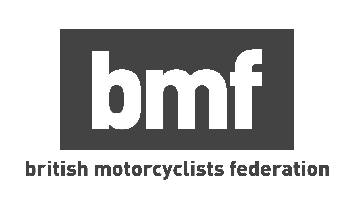 Taking your CBT test in Huddersfield is your first step in getting out on the road on two wheels, and enjoying some of the amazing roads around Huddersfield and the Kirklees area. Luckily for you, we can offer you all the help and advice you need to take your CBT test in Huddersfield. We currently have one CBT test centre in Fartown, near the centre of Huddersfield. Brighouse Motorcycle Training Centre boast a well maintained fleet of motorcycle and scooters no older than a year for you to ride, as well as friendly instruction from their instructors. The school has been running since 1991 so you can be sure you’re getting quality instruction. Further north, Ridesafe are a training school located in Holmewood, Bradford. Ridesafe offer a good fleet of machines for you to learn on, and have both male and female instructors available. If you are 16-years-old, that means you will only be able to ride a motorcycle or scooter with a maximum capacity of 50cc, and a restricted top speed of 30mph. Once you turn 17 you will be allowed to ride any machine with a maximum capacity of 125cc and maximum power output of 11kW. Whether you choose a motorcycle or scooter is upto you, but here are some things you should consider. Scooters are certainly the more practical of the two - which is why they’re more popular for commuters. Scooters feature automatic gearboxes, which means you don’t have to worry about selecting the right gear, and almost all of them come with a storage space under the seat. Most of these underseat storage spaces are large enough to hold a full face helmet, and it means you can do a bit of shopping on your way home. Motorcycles may not be as practical, but they’re more dynamic and offer a greater level of control. The inclusion of a clutch and gearbox means you can select the right gear for the speed you are doing, and thus will have the correct amount of drive. The clutch lever also makes it easier to perform slow speed maneuvers, as you can balance the clutch, throttle and rear brake for smooth changes in speed. Of course learning to ride a manual motorcycle does take a little longer than learning to ride a scooter, but you’ll be rewarded with a more exciting ride and greater control. Motorcycles also don’t feature andy storage for your sandwiches. In the end you need to choose the type of bike that is right for you. If you want to move up to motorcycling career ladder, then a motorcycle would be the best bet, but if all you want is inner-city transport, then a scooter makes sense. Here are 10 of our favourite motorcycles and scooters. But remember, passing your CBT doesn’t grant you freedom of the entire road network. You’ll have to display L-plates both front and rear, you won’t be allowed to carry a passenger, and you won’t be allowed on motorways. If you want to do all those things you’ll have to gain your full motorcycle licence.